The WPT national Philippines will take place at Solaire Resort and Casino in manila, Philippines from January 3, 2016. This will be the largest poker tournament hosted by WPT in Asia. The tournament will be a success because some top international poker players like Tom Dwan ,Phil Ivey, Sam Trickett, Daniel cates, Vivek Rajkumar, Andrew pantling and Andrew Timothy have confirmed their participation to the series. The $200k buy in WPT super high roller is one of the highest buy in poker event in WPT National Philippines to which players such as Tom Dwan and Phil Ivey are playing. The event can have as many re entries till the level 9th of the game. 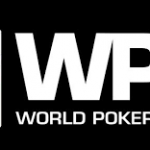 The tournament is hosted by the world poker tour and sponsored Cali group. The festival will see a $200,000 buy in event named as for Triton SHR series Cali group. This is the highest buy in poker event in the history of world poker tour Philippines. The Cali group chief executive officer Mr. Lei Tim Meng will also join the festival. WPT Philippines Kicks off on: – January 2, 2016 and will continue till January 8, 2016, whereas Triton SHR Series kicks off on January 3, 2016. The buy in is $1,650. 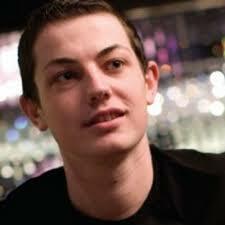 A Bit about Tom Dwan:- Tom Dwan is an American pro poker player who have played many high stakes No limit Hold’em and Omaha hi/lo games. He love to play at online poker sites as well. The total earned amount for him till date is $2,661,781 whereas the largest live cash for him is $447,844. We will cover every details and ongoing poker story of world poker tour Philippines right here at your own poker site. Keep coming and enjoy playing real money games.